A garage door is a major component to every home. The garage door must function efficiently to provide homeowners access to their garage doors and ensure safety. Garage doors can become dangerous if they are neglected. When certain problems occur, components may require repair or replacement. 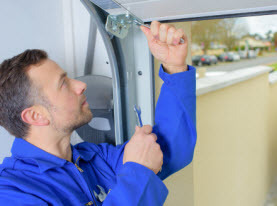 Vegas Valley Garage Door Repair would like to help inform you as to when a garage door needs repair or full replacement. It is important to repair garage doors as they develop certain issues. Bad Garage Door Sensor – One frequent problem is when the garage door begins to rise and the door then closes shut—or just the opposite, when the door begins to close and then opens back up. This is actually your garage door’s safety system engaging. However, when there is no reason for the system to engage, there is a problem with the photo eye sensor which often requires a quick and simple repair. Garage Door Opener Jerks or Vibrates. When the garage door opener struggles to lift the garage door it will jerk or vibrate. The lifting cables may be broken or damaged. Garage Door Roller & Cable Problems. You can also check the rollers. They may be loose, missing, or rusty. 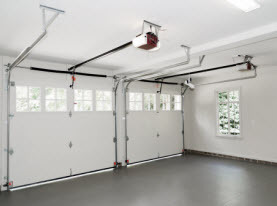 Rollers and cables can be replaced, which falls under a simple repair to your garage door. Noisy Garage Doors. Noise is never a good sign. When a garage door makes loud noises when it is opening, it may be due to damages to the track, or it may simply need to be lubricated. Inspect the tracks for damage such as bending or twisting. If they are in good condition have the track lubricated. That should stop the loud noises. Broken Garage Door Springs. Another common repair is replacing the garage door’s spring system. The springs do wear out over time and can be easily replaced. When the springs do wear down you may notice your garage door opens or closes much slower than normal. Springs are a common and a quick fix to an aging garage door. All garage doors wear down over time. With proper maintenance and repairs, a garage door can last 20 years. However, there comes a time when a garage door and its systems will need to be replaced. One sign it is time to replace your garage door is rust. Rust develops over time and cannot be stopped. Rust can be slowed down, but it can eventually damage a garage door or its component to dangerous levels. When this happens, the garage door becomes a major hazard. When rust takes over shop around for a new garage door. 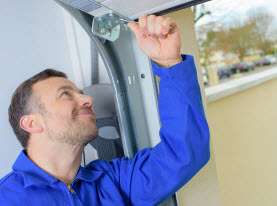 When a garage door receives major damages you will need to assess if the damage components can be replaced and repaired or if you need to replace the entire system. Having a professional come and assess the damage can give you a better idea whether or not you will need to replace the system. 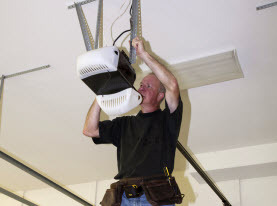 If you need your garage door and its system serviced or replaced, Vegas Valley Garage Door Repair can help. We can inspect, maintain and repair or replace your home’s garage door. For all of your garage door needs, contact Vegas Valley Garage Door Repair today!